Female comedian, Lepacious Bose who is still rocking her miraculous weight loss, has once again spoken about her weight loss and the challenges that has come with it. Nigerian actress Ibinabo Fiberesima, an ex-beauty queen and event manager turned a year older today. Nigerian singer, Lil Kesh has reacted to a recent report that he was deported from the US. 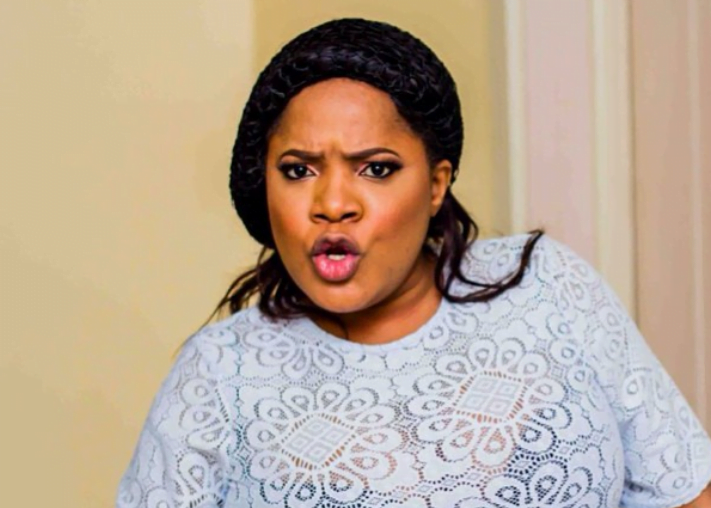 Nollywoood Actress, Toyin Aimahku has declared herself “an extremely pretty goddess”, and she took to her Instagram page to brag about it. Nollywood actress and popular social media comedienne, Calabar Chic, who was kidnapped by Fulani herdsmen, has regained freedom after spending 5 days in captivity.Calabar Chic who announced regaining her freedom on Instagram, disclosed that her phones were taken from her. A young lady who was captured on a Facebook Live video intentionally running over her man’s ‘mistress’ has been arrested for the vile attack.Port City Daily reported the incident happened at about 1:15 p.m. Monday in the 1400 block of Willard Street in the Houston Moore Public Housing complex off Greenfield Street, when authorities allege that Shadasia Ellison,19, from Wilmington ran down Tameka Copper, 19, in a dispute over a man. Earlier today, we brought you first photos from Nigerian songstress, Omawumi and her husband Tosin Yusuf’s wedding in her hometown in Delta State.Friends and colleagues of the ‘If you ask me’ crooner which include; Waje, Chigurl, Debola Williams, Mabel Makun, Mai Atafo and many others turned up for the wedding. 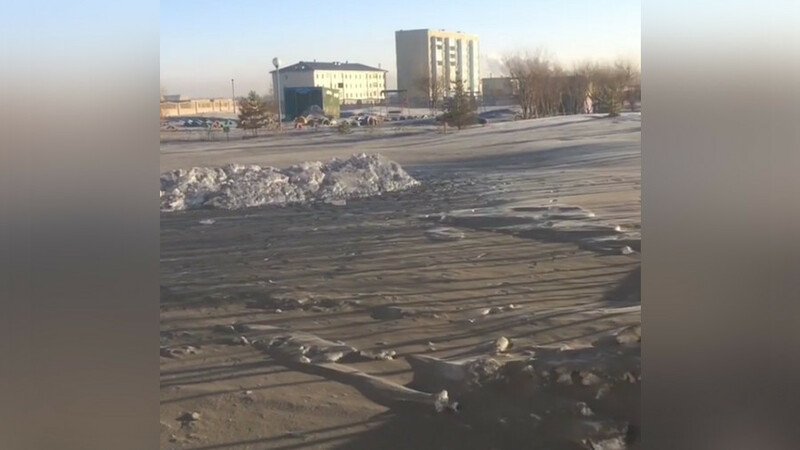 Authorities in the central Kazakh city of Temirtau have launched an investigation after a mysterious dust turned the snow black. Local residents have blamed the metallurgical complex in the area for causing the strange pollution. 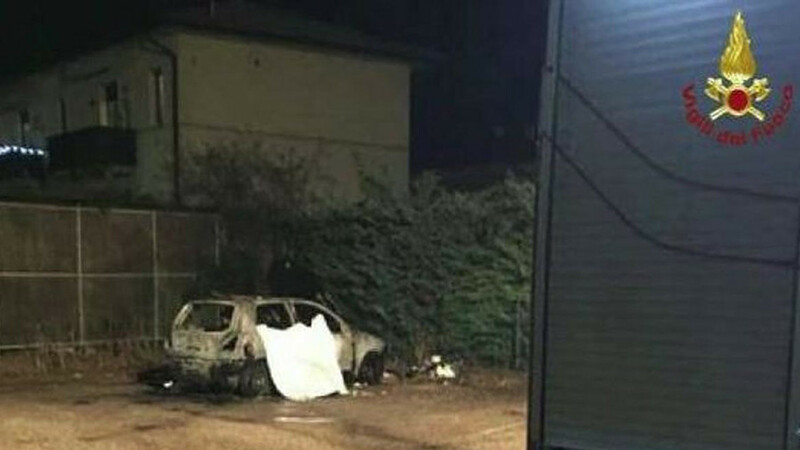 Investigators in northern Italy are questioning two teenagers, aged 13 and 17, suspected of killing a homeless man of Moroccan origin by setting alight to the car he was sleeping in.Two boys have been identified as prime suspects in the murder of 64-year-old Ahmed Fdil, who was burned alive in the car he used for shelter in the town of Zevio near Verona. “It was a joke,” L’Arena daily quoted the younger boy telling police when he was questioned about the incident that took place in December. Ritual killers which include 40-year-old herbalist, Kayode Olaniyi; Sunday Ojo, 30, and Kayode Ezekiel, 35, are now cooling off in police net after a team of policemen and operatives of the Nigeria Security and Civil Defence Corps, at Odi Olowo, Bolorunduro, Ilesa, Osun State, uncovered their hideout suspected to be a den of ritual killers.The suspected ritual killers were arrested before noon on Friday, after security agents were tipped off by an okada rider, who escaped being kidnapped by the group. President Muhammadu Buhari has congratulated the National Coordinator of the Oodua Peoples Congress (OPC), Gani Adam,son his installation as the 15th Aare Ona Kakanfo holding on Saturday. Veteran actor, Prince Jide Kosoko turns 64 and his two beautiful daughters will not let the day go without celebrating the man who opened many doors for them. Despite Davido shading Caroline Danjuma in his song ‘FIA’, The actress shared a video of herself dancing to the hit track. Nollywood actor and producer, Yomi Fabiyi took to social media to mourn the loss of his mother who died this morning due to an undisclosed illness. Kafayat Oluwatoyin Shafau, aka ‘Kaffy’ is a Nigerian dancer, choreographer, dance instructor and fitness coach who has earned her respect for acrobatic dancing with a great level of stamina to it. Nigerian pop sensation and father of two,Davido seems to be in love with a new damsel Chioma Avril Rowland. And this we can accurately speculate judging by the moves of the DMW boss in recent times. Before now, Davido’s affairs would never be revealed to the public until the last moments. Nollywood actress, Mercy Johnson on the 8th of January, deleted a lot of photos from her Instagram page, including all photos of her husband Prince Odianosen Okojie that she has ever posted, leaving many fans to wonder if all is well with her marriage.Her husband on the other hand still has his page intact with a lot of her photos and family posts. A man lost his wife some days ago and with just a few words, he adequately articulated the pain he is currently going through. Read the statement he made below. ''Stop the killing!!! Government must act beyond condemnation of the barbaric Benue massacre''. The Supreme Court on Friday, January 12, 2018 dismissed an application by Destra Investment Limited, a company belonging to Olisa Metuh, challenging the jurisdiction of the Federal High Court in a case of N400million fraud involving the former spokesperson of the Peoples Democratic Party, PDP. While complaining about immigrants coming to the US, during immigration negotiations on Thursday with lawmakers in the Oval Office, Donald Trump said: "Why are we having all these people from s***hole countries come here?". He was referring to people from Haiti, El Salvador, Nicaragua, Honduras and African countries in the temporary protected status program. As soon as his statement was made public by the media, the world was infuriated and called him out for it. Last night at the second edition of the Soundcity MVP awards, Tanzanian popstar Diamond Platnumz won the 'Best Male MVP' category and Nigerians on social media are not happy. A 35-year-old policewoman, Sergeant Mariam Sule, died after fighting a woman suspected to be the mistress of her husband, Uche Madumere. 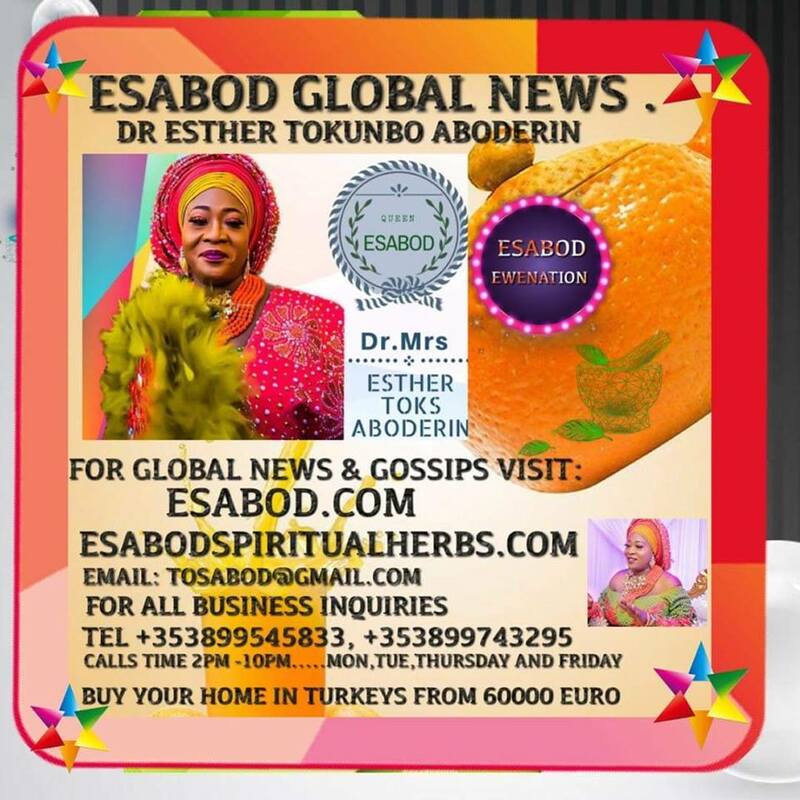 According to NewTelegraph, the incident occurred on November 20, about 10p.m., at Number 10, Sholake Street, Iju-Ishaga, Lagos. Tennis superstar, Serena Williams, has revealed that she nearly died after she had her baby last September. She said she needed an emergency C-section and that she had multiple surgeries after giving birth to daughter, Alexis Olympia. Jace Owie, Nigerian and a citizen diplomat of Citizen Diplomacy Bureau (Global Relations), co-leads a ten thousand march protest in the City of Berlin, Germany to end the slavery and killings of Nigerians/Africans in Libya and primarily creates awareness on the dangers involved in illegal migration. The trial of suspected ritualist, Ifeanyi Dike, commenced on Friday at the Rivers State High Court Number 9, where he was arraigned before judge, Adolphus Enebeli. Tragedy struck yesterday in the refuse dump area of Kubwa , Abuja, after a woman, Rukayat Abdulkareem , allegedly killed her rival’s son. The incident happened at about 10 pm. 22-year-old Umarudeen Kayode, the Davido’s right hand human who was accused of causing havoc at the Lagos on Thursday, is spending the weekend in prison as his bail conditions were not perfected until the close of work on Friday.